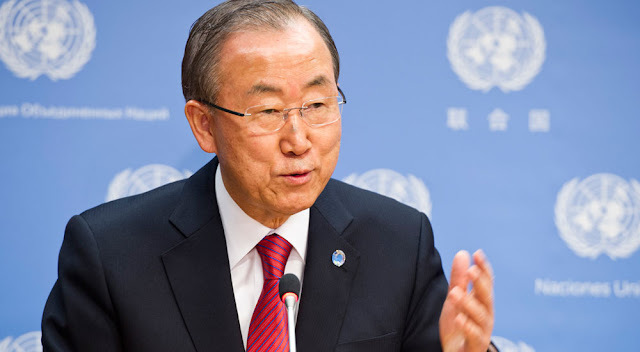 UN Secretary Ban Ki-Moon's Message for 2015: "Our lives and civilizations depend on the land. Let us invest in healthy soils to secure our rights to food and freshwater." "Land degradation and desertification undercut human rights, starting with the right to food. Nearly 1 billion people lack adequate nutrition, and those living off degraded areas are among the most affected. Their situation could worsen if land degradation, as projected, reduces global food production by 12 per cent by 2035. "Food security is also impacted by the decline in water resources. Due to land degradation there is less water and snow being stored in the ground. In 10 years, two out of every three people in the world could be living under stressed water conditions. "We degrade 12 million hectares of productive land every year – an area the size of Benin or Honduras. More than half our farmland is degraded, and only 10 per cent is improving. About 500 million hectares could be restored cost-effectively, rather than being abandoned. If we do not change how we use our land, we will have to convert an area the size of Norway into new farmland every year to meet future needs for food, freshwater, biofuels and urban growth. This would cause deforestation and other negative environmental impact. "The threat does not stop there. Through land degradation and other inappropriate land use, we release about a quarter of the greenhouse gases warming the planet. Climate change and unsustainable land use, particularly by agriculture, are contributing to the decline of freshwater resources in all regions of the world. As a consequence, global food production is projected to fall by 2 per cent every decade. "A world where all rights to food, water and human security are guaranteed is possible. But we need to change course and start securing every hectare of land that can provide food or freshwater. Land is a renewable resource, but only if we invest in land degradation neutrality, which has been proposed by United Nations Member States for the post-2015 development agenda. We must avoid degrading more land and, at the same time, rehabilitate all the degraded land that we can. Then, we will also be able to make rapid steps towards controlling climate change. "Our lives and civilizations depend on the land. Let us invest in healthy soils to secure our rights to food and freshwater." Join Food for the Hungry (FH) Canada as we walk alongside farmers working hard to replenish the soil and grow a better tomorrow.